To view our podcasts, you will need to complete our brief registration form. If you have already registered with us and received your password, please follow this access link. London Podcast by Scott Hayton – Listen to our podcast for the latest London pharmacy market update. What’s been the impact of the Government’s announcement to cut the pharmacy budget, how have buyers responded and ultimately how has this affected prices. England Podcast by Anne Hutchings – Anne will update you on what has been happening to the goodwill values of pharmacies, particularly in view of the recent Government announcement regarding funding cuts to pharmacies in England. The following reports are available and free to view by clicking on the title below. To find out more and to view our other reports (see below), please complete our registration form. If you have already registered with us and received your password, please follow this access link. 9 Steps to a successful pharmacy sale – A practical guide to avoiding the common pitfalls and often made mistakes when selling your pharmacy. Health Centre Pharmacy Owners Report – This report specifically looks at health centre pharmacies in the current market and its purpose is to inform you of what has been happening over the last 24 months and most importantly, how those changes could affect you as a health centre pharmacy owner. 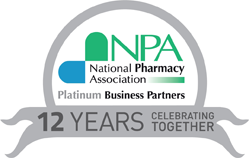 London Report – Do you know what’s happening in the London pharmacy market? Well this report informs you of what has been happening to goodwill prices and pharmacy sales over the last 12 months. 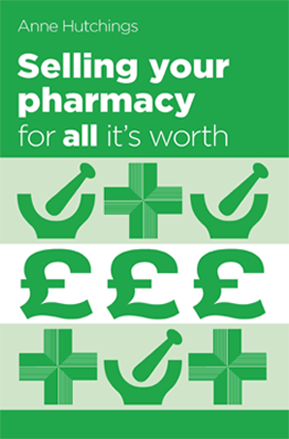 Maximise your pharmacy sale – It’s a strong seller’s market so you will probably have been approached more and more by private buyers or agents acting on behalf of a buyer. However, selling privately can result in you underselling your business by a substantial amount! If you are thinking of selling your pharmacy and want to achieve maximum price with minimum hassle we encourage you to read this report before you make a decision. Please be assured that we will only contact you using the details supplied. We only post to the corresponding address you supply and we never share your details with any third parties.